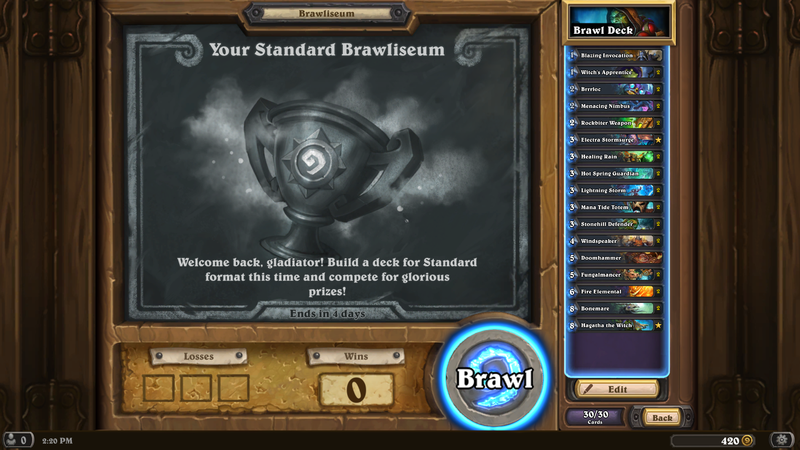 This week’s brawl is another that we have had a couple 2-3 times: Brawliseum – Standard. 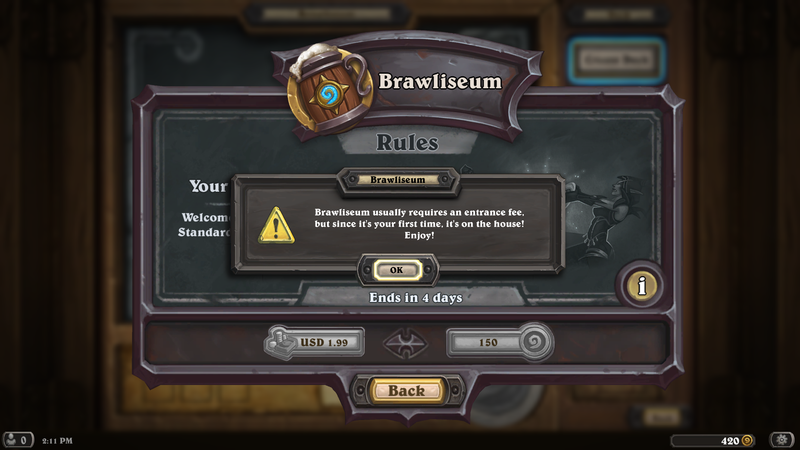 It’s pretty straight forward: Create a deck that you will “lock in” and use throughout the brawl. It’s kind of like arena, but you make your own deck. You can’t swap decks, or even any cards out, so choose wisely. It’s totally free (the first time), but I think you can continue to pay after you get booted. Be prepared to face some “familiar” decks. 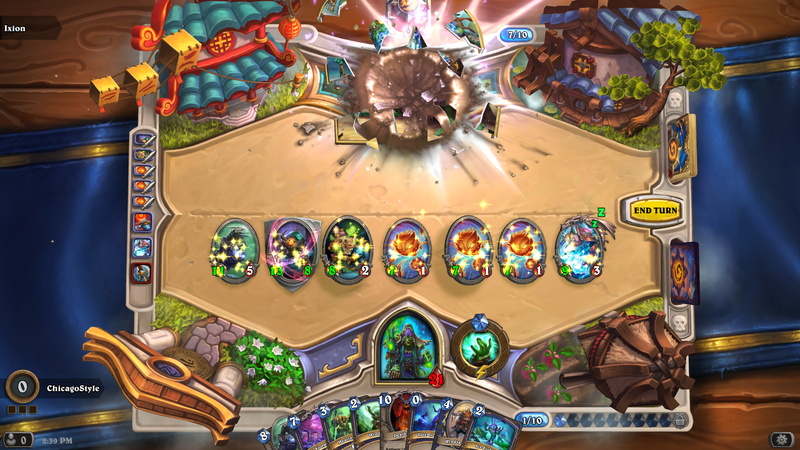 I went up against “Quest Priest”, another Shaman, a druid, and a rogue deck. 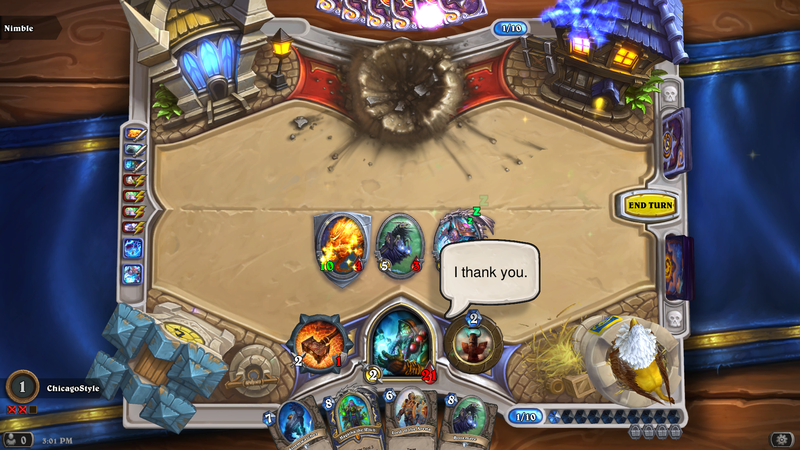 I went to a version of my “Battle Cry Shaman” deck. I put a couple nasty cards in there. Hagatha the Witch, is maybe my favorite of the legendary hero cards. I got up to 3 wins currently, but I have 2 losses. The good thing about my deck is it can last a long time. Many times, coming down to the last few cards. So go on and get in there. Get that free pack, and have some fun. I’ll see you next week! Almost forgot to put this in. Enjoy! 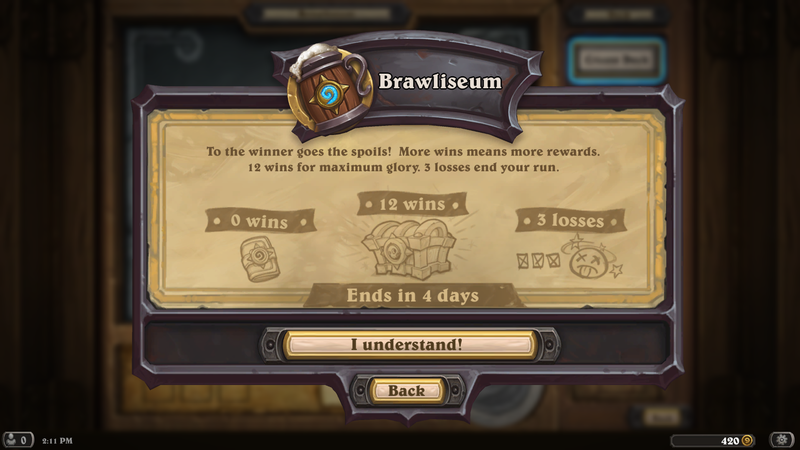 This entry was posted in Hearthstone and tagged Brawl of the week, Brawliseum, Hearthstone, Tavern Brawl. Bookmark the permalink.